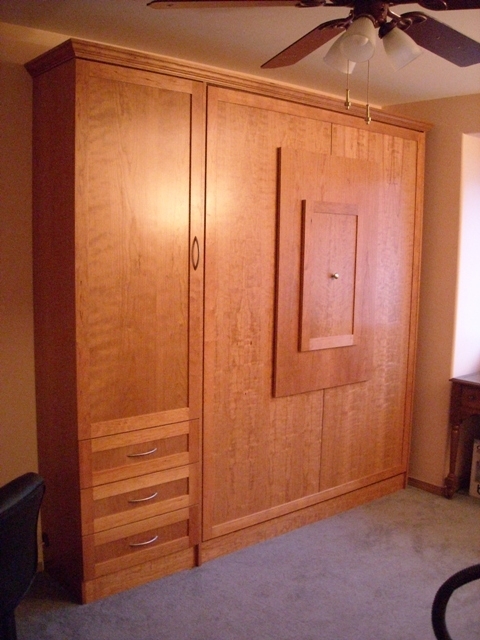 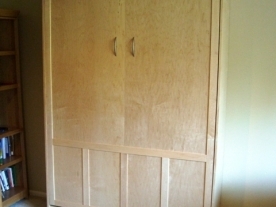 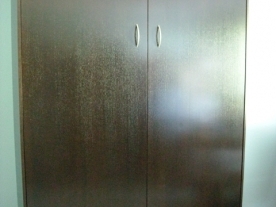 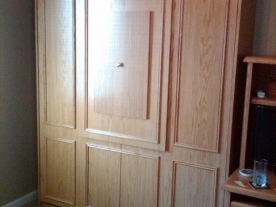 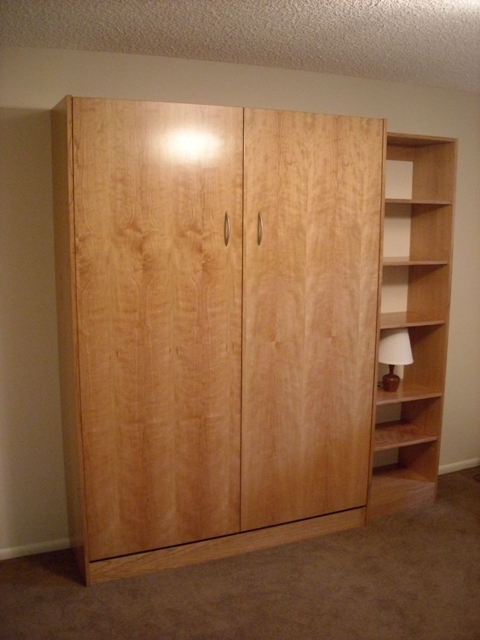 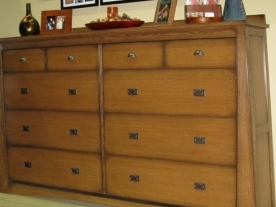 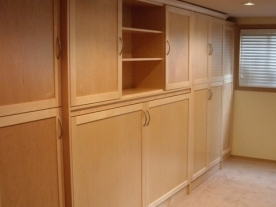 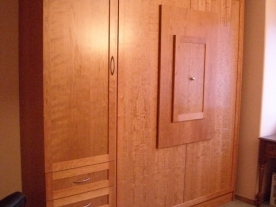 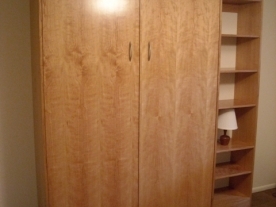 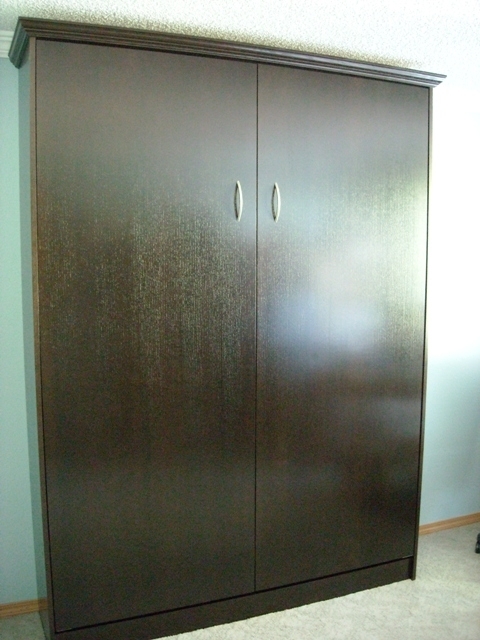 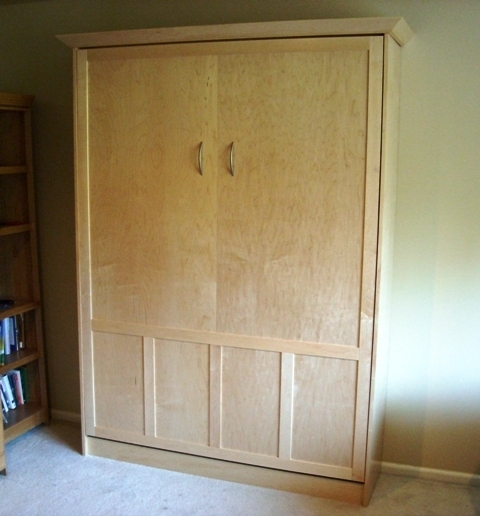 Northwest Closets & Wallbeds - Wallbed Seattle uses only furniture grade domesticly produced hardwood veneers available in Birch, Cherry, Maple, Oak and most any other speicies of wood. 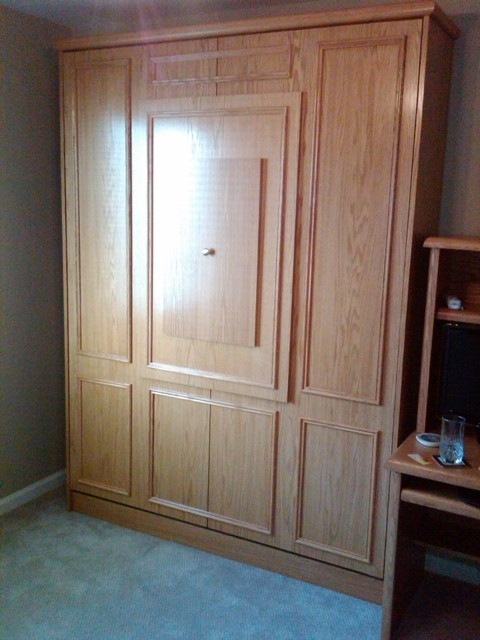 Professionaly finished by The Finish Line I nc. 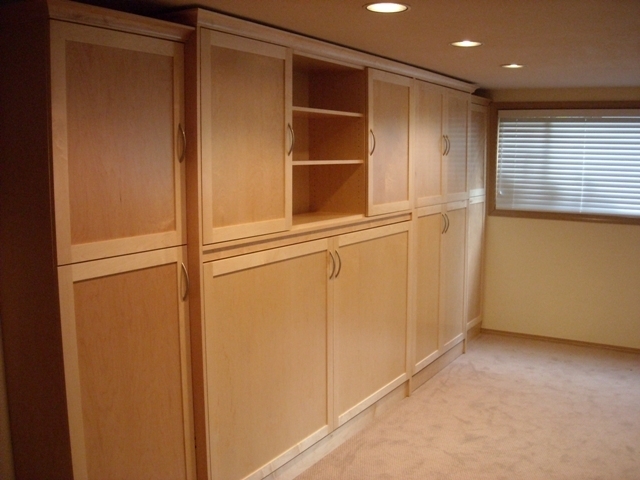 in Auburn Wa. 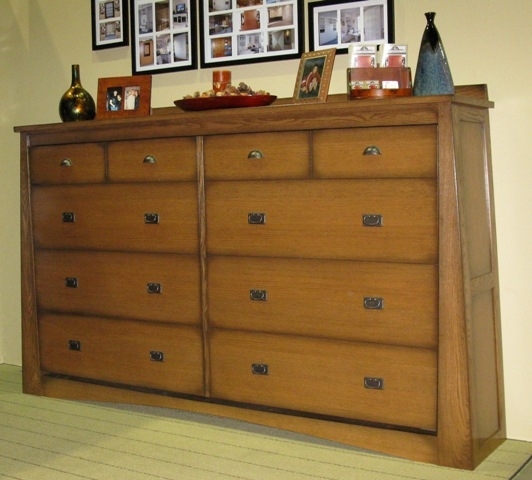 Your new Murphy Wall-bed will be both functional and beautiful, taking it's place in your office, den, guest room or livingroom. 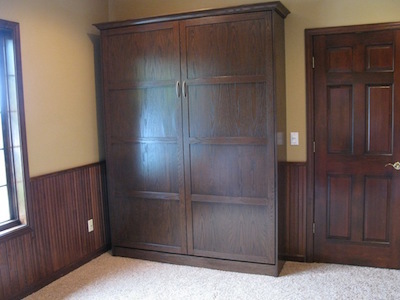 Add personal touches to your wallbed by adding moldings to the bed face, crown moldings on top, side cabinets or a drop table to the bed face.